I have to admit it - I was too lazy to make the liquid version of home-made laundry soap. But this one looks much easier to make! -- Ingredients will cost you about $28 a year. -- This recipe will make a batch that will last you a whole year! She says you only need 1-2 Tablespoons per load depending on the size of your laundry load - and that it works in HE washers too! -- Make sure to read Bobbi's post for complete instructions and important tips - plus all the great comments from her readers - there were 814 comments when I last checked! Donna C Phillips posted: It does not produce suds. So don't get excited when you don't see them! Michelle Christiansen posted: I am sooooooo doing this!! Tabby Brock posted: I made some last night. Jessica Stillman posted: Does it matter what kind of soap you use? I mean, can I buy some homemade soap from a local vendor and use that instead? Bobbie Jo Youmans posted: I have been making this same recipe for over a year now....love it, and you can add a few drops of essential oils also for fragrance. I have used Fels Naptha and seems to work the best but love to use the homemade soaps too. Melinda Kaye posted: Does anyone know how this is on sensitive skin?? Jenifer Jacobs Webster posted: I make this recipe and @Melinda, I have sensitive skin and also know another lady whose husband has more sensitive skin than me, and it works great. But on the other hand, a relative of mine has a reaction to the Purex crystals, so if you've never used them before I don't know. I absolutely love this recipe, and will never go back to regular laundry detergent! Melanie Haile posted: I made a big batch of this soap and I love love love it. And it only takes a capful. That is awesome! 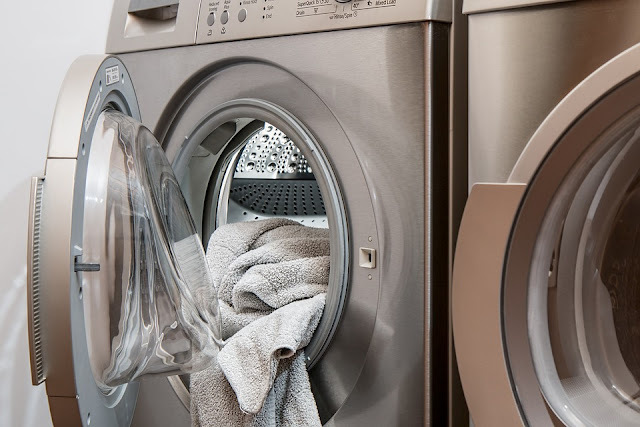 Mary Fahrney posted: How does it work in HE washers? Anne Girucky posted: I make my own laundry soap and it lasts me 6 months. Cheap and it really cleans great. Christine Mueller posted: Is there anything that cleans as good as Tide, but doesn't have the harsh perfumes? My entire household is a 'free' of perfumes and dyes household. Haven't found a homemade detergent that works, and doesn't cause allergic reactions. Anybody out there knows of a recipe? AnneMarie Jackman Canu posted: I made both last week and love both! Catherine Agnes Roebuck posted: @Christine, try Country Save detergent. It's not homemade but it's unscented, dye-free and works wonderfully. Jacque Miller posted: I still love this recipe. My clothes are so soft and fresh. Kristie Fietzer Rhoden posted: Not to mention that the powdered soap eliminates the wet dog/musty smell that you get when guys sweat in their shirts. The smell comes from the animal fat added to the liquid to keep it liquid-y. Kristie Fietzer Rhoden posted: Christine M~I too cannot have anything scented, and some of my family has sensitive skin ~ I have been using Tide Free powder, but would like a homemade version! Suzy Embry posted: I just made me a batch! My skeptical sister was impressed! Melinda Kaye posted: Thanks Jenifer, I have only used them for one bottle worth except for the clothing for the sensitive one, so I have no idea if she can or can't use it. I am really thinking about making this though (maybe hold off on the crystals this time...) or I can make the batch and put the crystals in after I try a load. Lol, we will see! Janisis Goocher posted: Been making my own for 2 years with no problems. Total cost for 2 years= $24!! @ Melinda, I use Purex Free n Clear for my household and it works. We quit using Tide and All because it seems there's still an additive in those that still irritate my husband's skin (redhead). I am trying this recipe to see if a.) it works for my home and b.) save me money. Purex costs at Walmart $7 for large 60 loads liquid. Just a question... using a he front load washer where does the detergent go? In my front-loading washer, there is a little drawer that I pull out, and inside is a place to put detergent. Those of you that have mentioned having hard water. You can buy a box of calgon or rain drop water softener and mix into your laundry detergent recipe. I use one 42 ounce box, but if your water is extremely hard you can use two boxes. It will make the detergent suds more and will soften the water, and an added benefit is that it will give more loads too. Those that have mentioned having sensitive skin, just use your favorite bath soap that you know you are not allergic to. Make sure that you use enough bars to equal or slightly exceed the 28 ounces called for in the recipe. Another trick I use is for faster drying out of the soap before grating/grinding. I cut the bars into 1/2" thick slices they dry out faster since they are thinner. If I grate the soap without drying then I put grated soap in a thin layer and let dry then pulse it in an extra food processor so its a powder. In wintertime I have even stuck the slices of grated soap in a warm oven after cooking to speed the drying process but you have to be very careful that the oven isn't more than just warm.